About to have a bunch of inventory expire? In this VETgirl online veterinary CE webinar, Fritz Wood, CPA, CFP reviews the problem of horrific inventory mismanagement and offers very specific, step-by-step solutions to put in to place immediately at your veterinary clinic. He will also review how to utilize effective, efficient inventory management for veterinary clinics. 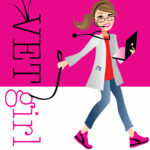 Tune into VETgirl's practice management webinars to learn more! I want to sign up for this webinar but I cannot find a way to do so without becoming an elite member although it says $50 if not an elite member. Please advise how to sign up for the webinar. You have to purchase this directly if you are NOT an ELITE member – please click on the $50 on demand webinar asap. Thanks! Where do I log in to participate in webinar tonight?